Is Brother Printers in your printer consideration? If you are in the market for high-quality printers that you can trust, you should not forget to check out the Brother printer brand and the Brother printer reviews. Brother is now considered one of the household names when it comes to home and business equipments. Established in 1908, the company started out as a sewing machine company, but eventually grew into the world-renowned Brother Industries, Ltd.
And now, the company is known worldwide for their highly innovative products that range from sewing machines to printers. Their laser printers are their best products these days. And their spirit for innovation makes their printers part of the cream of the crop in printing technology. What Types of Brother Printers Are There - Reviews? Printers from Brother come in various product lines. This shows that there is a Brother printer that will meet your various needs. In their line of Personal Laser Printers, they have four top models, including two newly-released models. These are the HL-2040, HL-5240, and the new HL-2140 and HL-2170W. These models are designed for basic monochrome printing using an affordable and efficient printer. These printers can hold up to 250 sheets, and can print in reliable speeds. The HL-2170W is also optimized for network sharing through wired and wireless connection, so it can also be used for workgroup sharing. But Brother also has an entire line of printers dedicated for network sharing. These are their Workgroup Laser Printers, which include the HL-2070N, HL-5250DN, HL-5270DN, HL-7050N, HL-8050N, and the HL-6050D. These printers are all network-ready. Their printing qualities are all quite excellent at around 1200 x 1200 dpi resolution for most of the models. Finally, they have five Color Laser Printers, namely the HL-2700CN, HL-4200CN, HL-4040CN, and the HL-4050CDN. With upgraded features and sharp color printing, these printers are excellent laser printers. Brother also has an extensive number of Multi-Function printers or MFCs. Their MFCs come in three different types as well. the Brother Monochrome Laser MFCs. Brother printers offer several features that are also the reasons why they stand out. The printers are known for their good quality prints for both monochrome and colored prints. The Workgroup printer line can also be connected through Ethernet connection as well as wireless connection. They also have high speeds that can be shared by multiple workgroup computers without a problem. Also, their MFC lines of printers include 5-in-1 models that have been awarded with PC Magazine’s Editor’s Choice Award for best multi-function printers. The MFCs are powered with a printer, a scanner, a fax machine, a copier, and a PC fax, and are empowered machines for efficient operation. 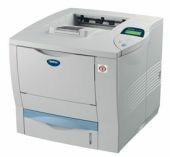 The printer can print up to 2400 dpi, and can scan up to 1200 x 2400 dpi. The PC fax sending, which is a unique feature of printers from Brother, is available for both Windows and Macintosh computers. The multi-awarded multi-function Brother printers catch the attention of experts and consumers. Brother printer reviews are almost always top class : based on the long list of awards that Brother has received for their outstanding printers, it is evident that their printers have passed expert standards. Aside from the PC Magazine’s Editor’s Choice Award for their excellent 5-in-1 MFCs, Brother also won the Reader’s Digest Trusted Brand Award and the HardwareMAG Gold Award for its fast and high-performance printers. With features that bank more on optimized functionality, the printers offered by Brother Industries, Ltd. have managed to rise to the level of printers from other more popular printer brands. Copyright allprinterreviews.com Protected by Copyscape - do not copy. Brother MFC-9840CDW - Superior Versatility and Quality in One Printer - The Brother MFC-9840CDW, highly functional is a promising product under Brother’s Multi-Function Center printer series. Brother HL-1440 Printer - Rising Above the Standard - The Brother HL-1440 is everything a monochrome laser printer should be, and priced that way too. Brother HL4070C - The Ultimate Network Printer - The Brother HL-4070 is labeled as a wireless network printer with automatic duplexer since these two are its best features. Brother HL-2040 - Not Your Ordinary Home Printer- Presented under Brother’s line of personal laser printers, the Brother HL-2040 is designed to meet your basic monochrome printing needs at home.